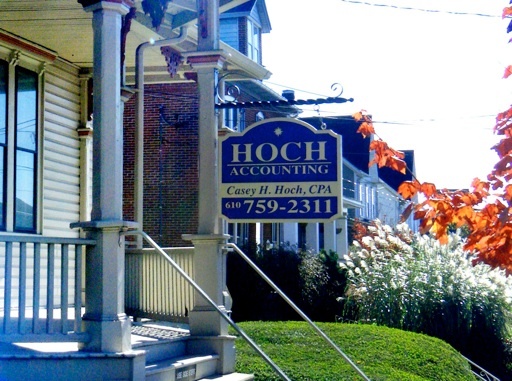 Hoch Accounting PC is a public accounting firm serving individuals, small businesses and other organizations in the Lehigh Valley area. The firm is owned and operated by Casey H. Hoch, CPA. We provide expert income tax preparation for individuals and IRS audit representation in addition to other personal accounting and financial services. For small businesses, non-profit organizations and government institutions, we provide tax preparation, consulting, payroll and other services.